Whether you are a current practitioner in program or project management or you are considering a career in this profession, you may have thought about the value of obtaining one or more project management credentials. 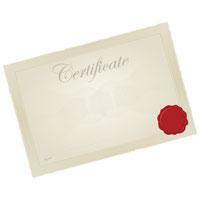 If you are already certified and/or have one or more credentials, you may be contemplating ‘broadening your armoury’ by seeking additional credentials or certificates in program or project management. What is the benefit of obtaining one or multiple credentials? Is there a typical value against the investment in time and money? As we discuss the value of program/project management credentials, we will approach it from the point of view of varying levels of one’s career. Let us first consider the viewpoint of a recent college graduate in our profession. A recent four-year college graduate will have invested significantly in real money and time to obtain their degree. During the course of their undergraduate education, they have likely had some exposure to a real-life project. The majority of today’s employers will typically look for evidence of project work and the ability to successfully work on projects. Yet, how many recent college graduates also seek out entry level credentials in project management, such as CAPM, IPMA Level D, PRINCE2 Foundations or Projects+ as part of their education? When compared to the average cost of a typical four-year undergraduate education in any country, one or more of these ‘entry level’ project management credentials can be obtained for a relatively small additional amount. In current job markets worldwide, competition for good jobs is fierce, especially among those entering the market for the first time. Having an entry level project panagement credential not only shows initiative, it may also allow new graduates to differentiate themselves, especially within professions in which project work entails a significant percentage of the role. Let’s now approach the question from the prospective of the young professional who has been employed for 3-8 years, and may be growing into (if not already in) a mid-level position. Over the course of their professional career to date, they have probably worked on one or several projects, perhaps having led a project for their employer. How does the young professional know what expectations exist of them, either as a project contributor or as a project lead? Organisational assets to guide people exist in most companies, but, assuming they are present, they can only serve the professional to a degree. Gaining experience is an important ingredient of managing projects, and blending experience with professional study/skills development can help move them forward. By seeking higher level credentials, the young professional is demonstrating a keenness to learn standard practices in project management. To answer this question, you must first consider your own long-term career ambitions and your work situation. Will your employer be conducting business with organisations that ascribe to a project management methodology different than their own? What if you suddenly find yourself out of a job? The ‘preferred’ project management credential will vary from employer to employer, the industry, and, in many cases, the geographic region in which you work. The senior practitioner of project management can potentially stand out by having multiple credentials from various certifying organisations. And also, remember that these credentials offer some good fundamentals in the basics and advanced techniques of our profession. Whether you choose to actively use them in your work is a separate topic. For the experienced professional, holding credentials also demonstrates to peers with whom you may want to create a network that you are serious about your profession. It can open doors to expand your professional network and to learn from each other. No one has a crystal ball that will predict what the job market in your geographic region will be like in six months or six years. However, if project management is the career in which you plan to remain throughout your working years, holding more than one credential may allow you increased mobility and security, and mitigate risks found in unforeseen situations such as changing jobs. Given that the majority of employers offer professional development as part of employment, the question becomes: “Why not add multiple credentials to your professional toolkit?” Through our interactions with many program and project managers, we can state that having multiple credentials can only benefit your career, in some way, shape or form. Regardless of your current stage of career development, seeking new training and knowledge for personal growth is always looked upon favourably by employers. In conclusion, whether you believe their value to be intrinsic or monetary, having at least one program/project management credential/certification can be beneficial, regardless of your current career level. However, keep in mind the saying” ‘What is great today is the norm for tomorrow…’ Once upon a time a bachelor degree was exceptional—now it’s reasonably common. There are numerous globally recognised project management and project-related credentials and certifications available today. Given the increasingly competitive job market and the growing recognition of project management as a profession, we think that this trend will continue. Will project management credentials survive a recession?